Whether you’re planning a renovation or simply need routine maintenance on your home or business’ plumbing systems, our team of professional plumbers can help you. Drain repairs in Sydney have never been such good value for money. 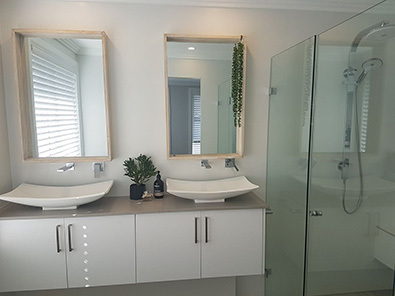 At North West Plumbing & Drainage we aim to provide a drain repair service in Sydney that surpasses your expectation in terms of quality but also price. Are you looking for effective Sydney toilet repair or installation services? Call us today and we will send a qualified plumber to start the process. A malfunctioning toilet has the ability to disrupt your entire family’s life, so don’t hesitate if you have a problem. There is no doubt that you use your bathroom everyday, and it can be a real pain when you can’t have a nice hot shower or your toilet keeps overflowing. We’re here to help when any problem arises with your bathroom plumbing. Our gas fitters in Sydney are gas fitting specialists with years of experience in the installation of gas appliances, gas leak detection, gas pipe work installation, gas safety inspection, gas fires, disconnecting and reconnecting old appliances. North West Plumbing & Drainage is a customer service oriented plumbing company offering in hot water installation in Sydney. We provide same day hot water services 7 days a week. Call us for a free quote. If a leak is not repaired it can cost you money as the hot water you’ve paid to heat is lost. If the tap leaks and is loose it might need to be replaced. Whatever the problem our skilled plumbers will have the solution. We understand the necessities that restaurants and hotels face, the plumbing requirements that house and flats have to obtain before being rented out and the water requirements certain premises need to follow. If you need an emergency plumber in Sydney, we can provide an efficient timely service. Our emergency plumbers can be at your door, usually within the hour, day or night, 365 days a year. Whether it’s a hot water breakdown, leaking pipe, burst water cylinder or seized mains stopcock, we can dispatch a gas plumber or emergency plumber within minutes to make your property warm and dry. Our emergency plumber services are always available because we understand that plumbing issues are urgent and require prompt action. Plumber and much much more- Jai is a great guy and a great plumber, from the moment he arrives at your doorstep (on time!) you know you are dealing with a professional as he takes off his shoes before walking in. Overall, his work is fast, neat, reasonably priced and fantastic. He is not only a plumber but he also designs and builds bathrooms which my mum is keen to engage his skills for. Thanks Jai- We now call you our family plumber. Highly recommended! I would recommend Jai Simon to everyone. As mentioned by everyone, he is punctual, friendly and understand the problem and act on it quickly. It doesn’t matter if your bathroom leaks or want to take out tiles from your wall or fix the pipe behind the wall, Jai Simon is the guy that you can trust. I will not hesitate to call Jai again in the future if there is any leaking issue.